Tired of wasting money on low-standard training balls? Want to get a true Professional Training Toy? This ball will help you to focus on your training goals and enjoy training activities every day! 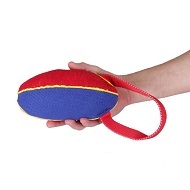 Besides, this Toy will help your dog to feel more pleasure when walking or having fun with his favourite owner! It's so easy to make your dog happy! Buy now this Tough Rubber Ball for large breeds and your dog will gambol like a little puppy! Take a look at this piece of art! It's simple and effective! 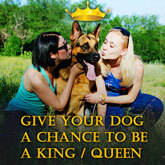 The Ball, we offer, is made of quality rubber and may be used both for training and playing with your pet. It's just perfect for adult dogs! Note! The Toy is a training item and isn't meant for chewing, thus don't leave your dog alone with the Ball. 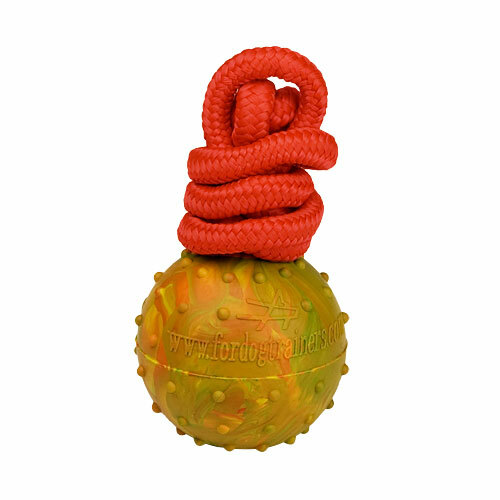 The Ball is equipped with super strong rope, that allows you to control the process of playing or training. Don't worry, the rope if fixed reliably and won't fall out of the Ball. Please pay attention, that it is Heavy Full Rubber Ball. We have other sizes of dog balls available. You are welcome to check the table and links below.